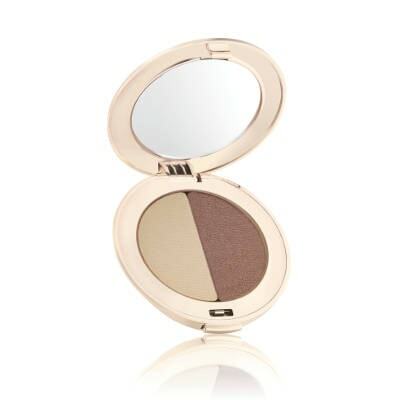 Look Elegance to Edgy and Feel Silky Smooth with Jane Iredale Duo Eye Shadow (Pear White, Shimmery Copper Eggplant). Jane Iredale Duo Eye Shadow is Silky smooth and simple to blend, its crease-free, long-lasting and richly colored eye shadow can be used wet or dry. Designed to enhance the colour and shape of the eye. Can be used wet or dry. Highly pigmented, crease-resistant and long lasting. Jane Iredale Duo Eye Shadow contains Boron Nitride, Pink Bark Extract. Apply to eyes with an eye shadow brush to create a variety of looks.